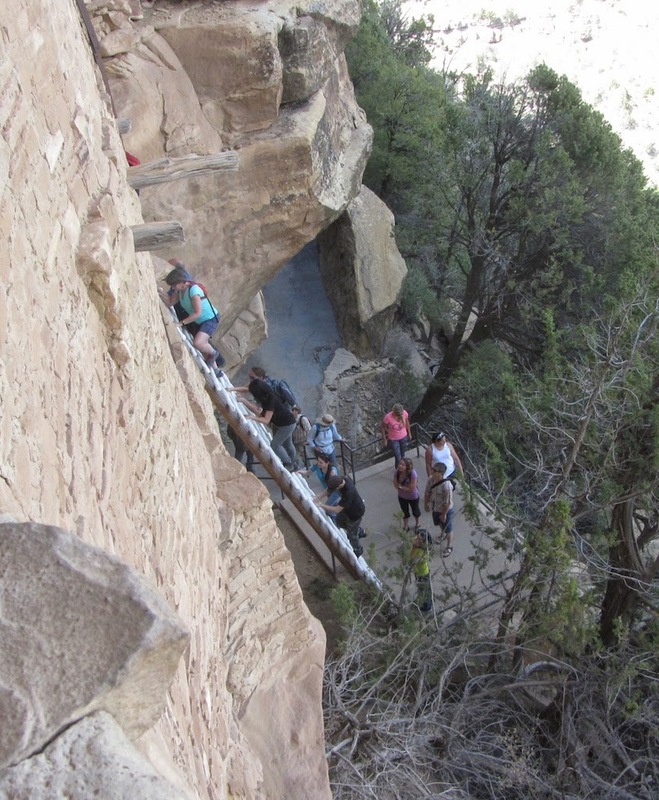 Climbing ladders, long ladders, is the only way to visit the 13th century cliff-side constructions at Mesa Verde. 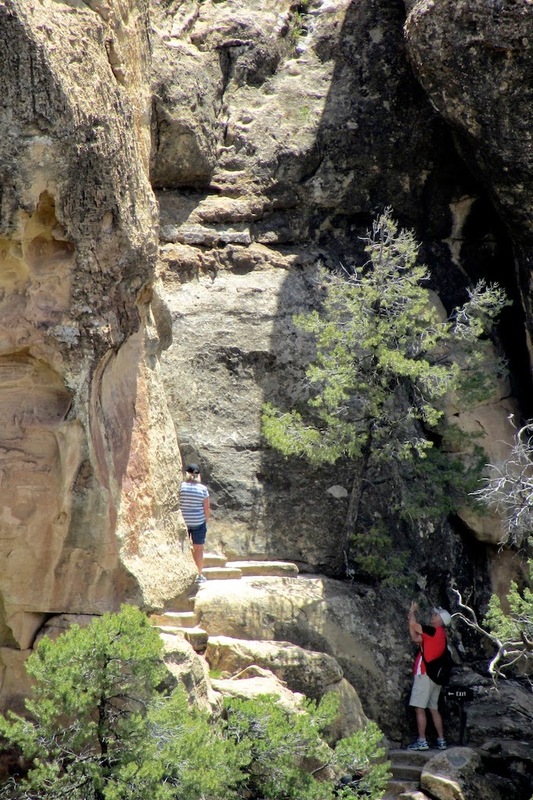 Kivas -- the semi-underground structures built by the mesa-top dwellers from the 6th to 12th centuries -- used ladders to enter the dwellings through a hole in the ceiling; modern Pueblo people, descendants of the Mesa Verde residents, have similar access to their traditional homes. 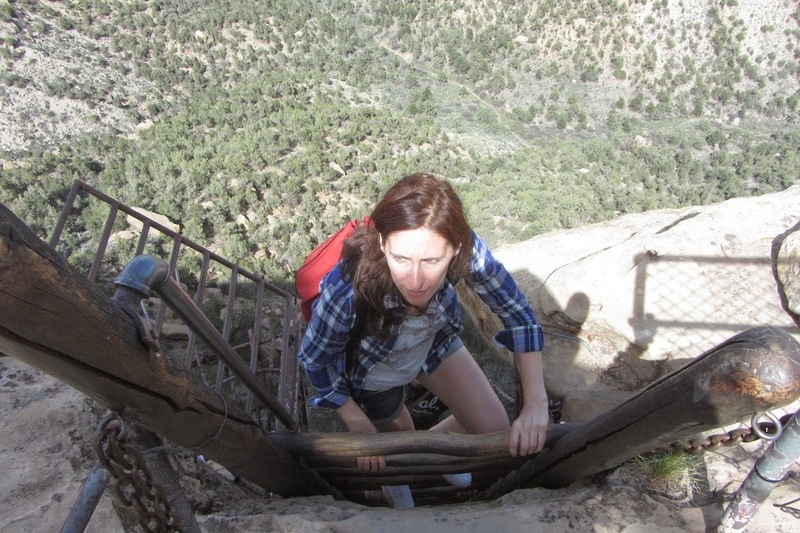 For many visitors, the long ladders are incredibly scary. 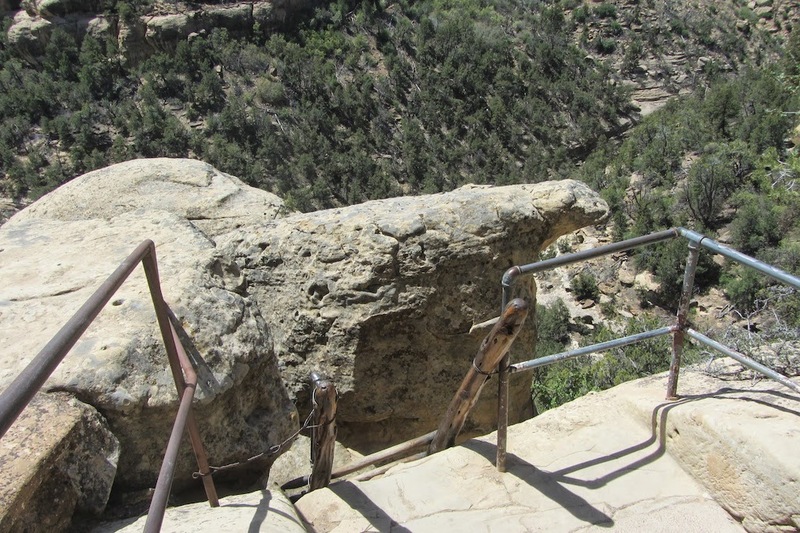 But the ancient Pueblo people used hand and foot holds on the cliff face to enter and exit from the cliff dwellings. These are like a ladder, but much more challenging. It's hard to imagine all people, young and old, on a climbing wall virtually every day. A visit to Balcony House begins with a climb up a huge ladder. Coming up the ladder to exit from Balcony House. Yes, that's the canyon floor down there. 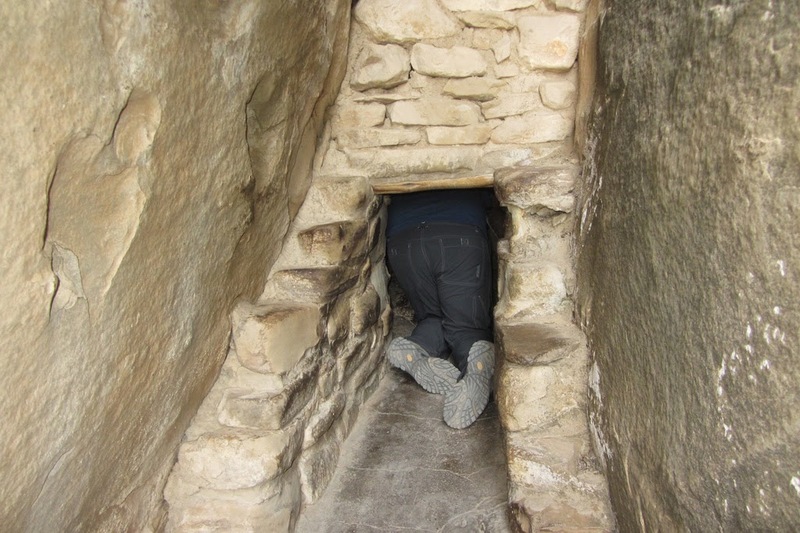 have to climb through an 18 inch wide tunnel at the back of the alcove. at top center, you can see the foot- and hand-holds for the original exit. 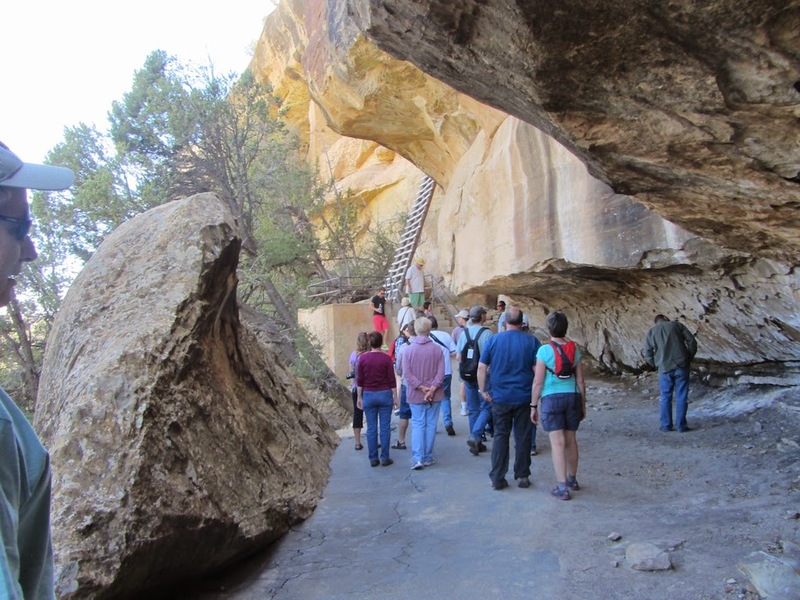 the Taos Pueblo residents are descended from the people who lived in Mesa Verde. 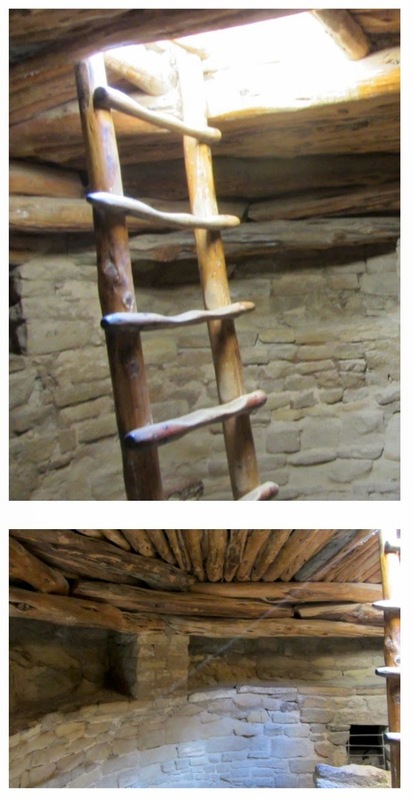 Roof-access ladder at Taos Pueblo (2004). in addition to the original Pueblo house. Love the photos of ladders...brought back memories. You were visiting in my area:). I love Mesa Verde and Taos Pueblo. Thank you for your visit to my blog and your comment. The three potatoes required only eight minutes of microwave time, there was no explosion, and no particular preparation for the potatoes except washing them and wrapping them separately in a paper towel. We don't use a toaster oven here, and there is no convection in our regular oven, so this was a time-saver. The bag holds the moisture, I think.